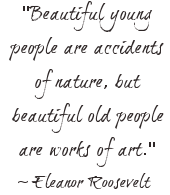 Creative aging and self expression is the very heart of Creative Path Consulting. I bring art therapy, and therapeutic art expression to older adults in a variety of settings: From assisted living facilities, to recreational centers, to long term care, and in-home visits. Each place and its needs, are as unique as it’s people. How will this program help my facility and my program? Having an art therapy consultant adds to your programming without the cost of hiring an art therapist on staff. “I’m too OLD to do art!” or “I can’t even draw a stick figure!” I am not sure of the amount of times I have heard these statements. I am sure that nothing is further from the truth! Whether someone has never tried to make art, or stopped creating at an early age, or even if they are an artist, the fact is…Art is good for everyone at any age! The process of creating art has an amazing ability to allow for personal expression in a non threatening way. It speaks even when words are hard to find or difficult to express. I have been a part of some amazing journeys and art truly is a powerful medium that inspires and uplifts! Adding fun and a sense of humor helps the process, as well as reassuring your residents that they need not be artists to participate. The art of learning, growing, and creating is endless! Hiring a licensed, board-certified and registered art therapist who understands not only the physical and socio-emotional challenges that can occur when creating with older adults, is important. It is just as imperative to focus on and promote continued strengths and abilities! The art therapist works closely with clients to ensure a warm, safe creative space is provided to encourage autonomy, expression and connection to self and others. Using art as a means of creativity, personal expression and life enjoyment can aide in many issues which may include anxiety, depression, agitation, and dementia related behavioral symptoms. “As Program Supervisor of the Bobbi Lewis Adult Social Day Center, I highly recommend Michelle Olson and her wonderful Creative Arts program to compliment any Therapeutic Recreation program. Since coming to our center, Michelle has brought a meaningful, creative style, and a fun means of connecting the Arts with several of the Bobbi Lewis’ clients.